It seems as though when this time of the year rolls around, we tend to feel a bit more cozy curling up to movies, sipping on something hot, putting soup on the stove and overall wanting to do more indoor activities. But what some fear is the thought that being indoors more means being less active which could lead to putting on weight and not being as fit as we are in the summer. Well, that doesn’t have to be your fate at all. 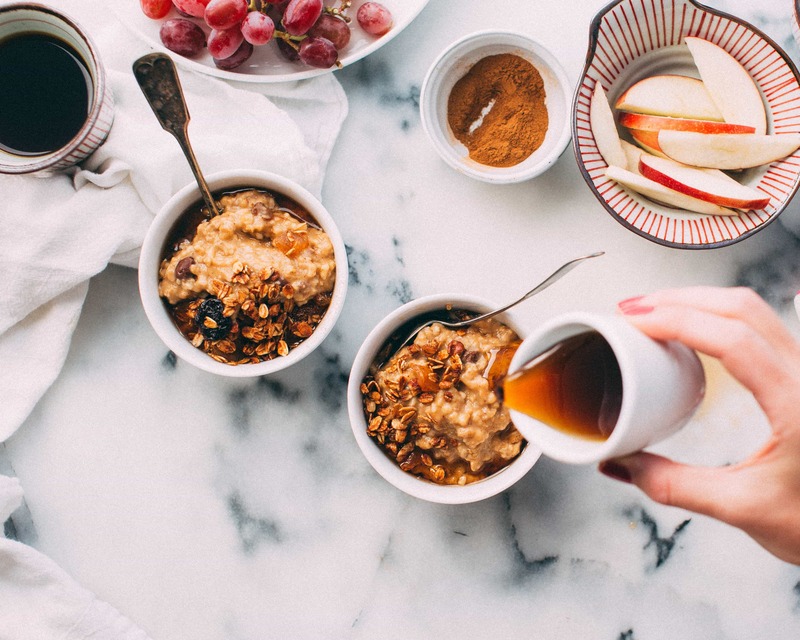 We are here to share with you our favorite winter routines that are healthy keep us fit and keep us still feeling cozy through the cold months. Move over Vitamix, Instant Pot is our shining star of the winter months. In the winter we tend to trade our smoothies, acai bowls, homemade protein ice cream for soups, porridges and bone broth. As the cooler weather rolls in and we tend to stay inside more and slow down a bit more the idea of making something every day for breakfast begins to be less attractive. Instead, we like to pull out our instant pot and create portions that can last all week and what some people like to call meal prepping. We have been loving making a large batch of protein superfood oatmeal in our Instant Pot that lasts the whole week. Set your Instant Pot on pressure cook for 10 minutes with a natural release. Portion out into 5 mason jars to keep for each morning or place all of it into one large container, eat your first portion and then store the rest in the fridge. If your mixture is too thick, then feel free to add more milk before serving. Also, feel free to reheat too or eat cold. Top with berries and a drizzle of honey too, if desired. Between our session at the gym or our latest workout class, we have been loving hot yoga and what it does for our body in the colder weather. There are debates out there on if Hot Yoga is the right thing to do when it is cold outside, but there are typically debates against things in all spectrums of the industry. All we will say is that we love hot yoga to increase our body temperatures since it is harder to get the body to warm up in the cold. A warmer body allows for a reduction in the potential of injuries, increases our flexibility, aids in digestion, and helps in weight loss too to name a few. Full warning though, make sure you bundle back up if you are going to step back out into the cold after class, yes even if you are all hot and sweaty. We are so into hitting up an infrared sauna in the winter time. If you are unsure as to where an infrared sauna is available to you, we suggest giving google a little try and you may be surprised to see what pops up around your area. Infrared saunas offer a lot of benefits as to why they should be a part of your winter self-care routine–give us all of the detox and immune system boosts to just name a couple. By now, we are sure you have heard of Golden Mylk but we bet you haven’t heard of SPRUCE Golden Mylk yet. SPRUCE is our veggie powder and recently we took a Golden Mylk recipe we love and added a little SPRUCE twist to it, hence SPRUCE Golden Mylk. 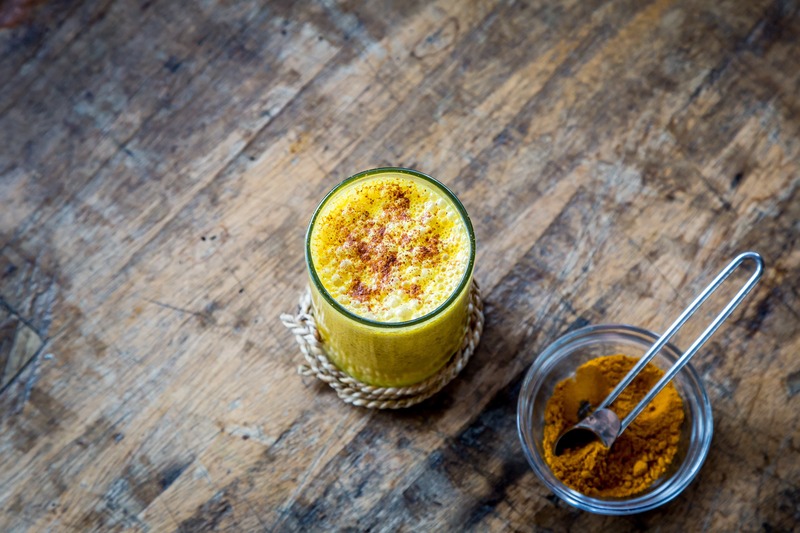 Combine the milk, vanilla extract, cinnamon, turmeric, and ginger in a small saucepan. Heat over medium until warmed through but not to a boil. Pour into a mug, mix in stevia and SPRUCE. We particularly like drinking this as an afternoon pick me up. All in all, we have introduced each of these things into our weeks this winter and loving how healthy, energetic and relaxed we are feeling. Throw in some soups, a good movie on TV, a decent book before bed, some sips of tea, taking your probiotic and you are on the way to having the best winter routine yet!